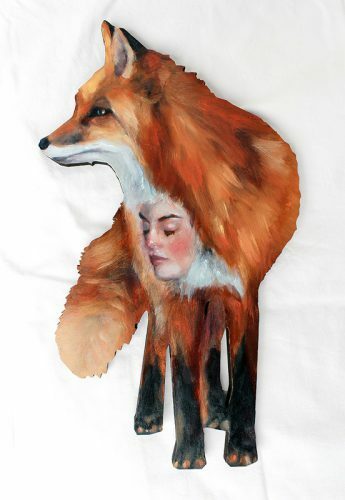 Home arts Arts / What’s on and where in Canberra this weekend? Arts / What’s on and where in Canberra this weekend? “THE Chandelier Show” is an opulent exhibition of hanging lights curated by Jane Cush, with works by Christine Atkins, Scott Chaseling, Ngaio Fitzpatrick, Jacqueline Knight, Kate Nixon, Tom Rowney, Wendy Dawes, and John and Ruth White. Canberra Glassworks, 11 Wentworth Avenue, Kingston, until August 6. A talk will be held on the gallery floor at 2pm, June 10. All welcome. 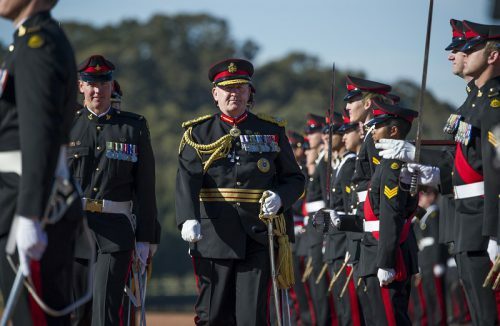 THE Corps of Staff Cadets, together with the Band of the Royal Military College, presents the spectacle of the Trooping of the Queen’s Colour at Gallipoli Reach on the foreshore of Lake Burley Griffin. This parade, reviewed by Governor General Sir Peter Cosgrove, celebrates the official birthday of the Queen. The ecent begins at 10.15am on Saturday, June 10. All are welcome. RECENT ANU School of Art Glass Workshop honours graduate Rose-Mary Faulkner is investigating methods of mapping and recording the female figure in her kiln formed work. Viewable at Canberra Glassworks, 11 Wentworth Avenue, Kingston, 10am–4pm, Wednesday to Sunday. Entry by donation. CASP is an annual small grants program administered by Regional Arts NSW on behalf of Create NSW Arts and Health. Its focus is on arts and the environment, Aboriginal and Torres Strait Islander projects, culturally and linguistically diverse projects and projects by children or young people. CASP Grant writing workshops are open to applicants at southerntablelandsarts.com.au until 5pm on Thursday, July 27. THE Karabar Open Spaces project, “Mosaic seats”, is a project to help mosaic some seats in Queanbeyan. No previous mosaic experience required, register at qcc.nsw.gov.au and turn up at the corner of Southbar and Candlebark Roads on Thursday, June 22, Friday, June 23, Saturday and June 24, Sunday. THE second “Girls Rock! Canberra” camp is running during the winter holidays. The five-day program is open to girls, trans and non-binary youth between ages 10-17 years. Last year there were 42 participants and 35 mentors. To be held at Ainslie Arts Centre from July 10-15. Applications to girlsrockcanberra.com by June 11. BELCONNEN Arts Centre and Tuggeranong Arts Centre have launched a program supported by ACT Health called “Dance for Wellbeing”. Led by Philip Piggin, Jane Ingall, Gretel Burgess, Debora di Centa and Jacqui Simmonds, it provides dance programs for people challenged by Parkinson’s disease, Alzheimers or Multiple Sclerosis. Inquiries to Rachel at 0404 024406. “ENIGMA”, a new exhibition by local photographer Lorna Sim, is at The Photography Room in the Old Bus Depot Markets running to June 25. The exhibition presents the form and free spirit of Eliza Sanders, a young contemporary, award-winning and independent dancer, choreographer and visual artist. Admission is free. AUSDANCE ACT Open Class is continuing with advanced to professional level classes on Wednesdays from 10am-11.30am at the Belconnen Arts Centre. Evening classes on Thursdays run from 6.50pm-8.20pm at QL2’s Dance Studio, which is for intermediate to professional level dancers of all genres. 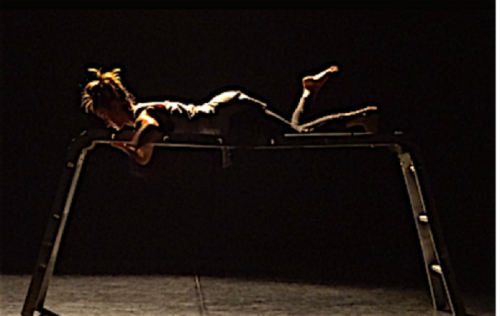 THIS WEEK’S Open Professional Class “Embodied Resonance” features Emma Strapps tuning the moving body. Inquiries to 6247 9103. THE fifth Winter Film Series will soon be back at the NGA. Curated by Simon Weaving, now a lecturer at the University of Newcastle, the high points this year are new docos about medieval painter Hieronymus Bosch, fashion designer Dries Van Noten and enigmatic artist Joseph Beuys. At the James O Fairfax Theatre, 6.30pm, June 7-July 5. Bookings to nga.gov.au or 6240 6701. 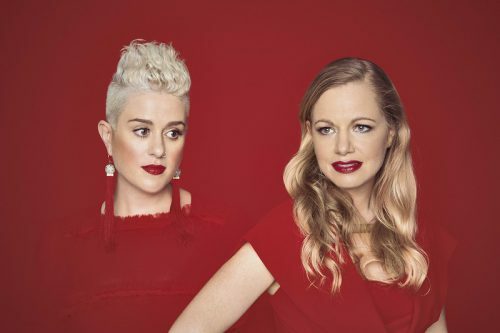 KATIE Noonan and Karin Schaupp join in “Songs of the Latin Skies”, which is their stunning take on the great South American songbook of bossa nova, samba, salsa and tango. At The Street Theatre, June 9 and 10. Bookings to thestreet.org.au or 6247 1223. “APIA Good Times 2017” sees The Black Sorrows on stage with Vika and Linda Bull, Colin Hay, Deborah Conway and Mental as Anything. At Canberra Theatre, Sunday, June 11. Bookings to canberratheatrecentre.com.au or 6275 2700. 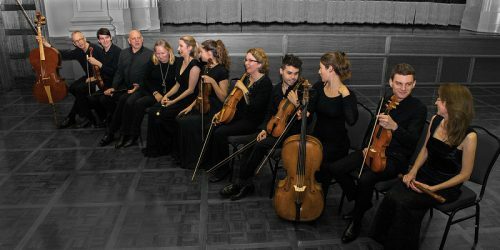 LIMESTONE Consort and Adhoc Baroque will be honouring the memory of German composer Georg Philipp Telemann by performing baroque works and two of his solo cantatas, “Hemmet den Eifer” and “Nach Finsternis und Todesschatten”. All Saints Ainslie, 9-15 Cowper Street, Ainslie, 2pm, Saturday, June 11. Free, but an exit donation would be appreciated. CHILDREN’S entertainer, Peter Combe, who created the timeless children’s classics “Wash Your Face With Orange Juice” and “Spaghetti Bolognaise”, returns with “Live It Up”, at Canberra Theatre, noon, Saturday, June 10. Bookings to canberratheatrecentre.com.au or 6275 2700. PHOENIX Pub in Civic has as follows: Thursday, June 8 at 9pm, Kegs n Karaoke; Friday, June 9 at 9pm, Los Tones, Bad Bags, Crocodylus; Saturday, June 10 at 8pm, The Ians, The Kaemans, The Wrst, Cable; Sunday, June 11 at 8pm, The Bootleg Sessions, Pleased to Jive You, First Gulf War, Jedbrii and Cultured Pelican. “WE’RE up to our old tricks again with another Agatha Christie,” says Tempo Theatre director, Jon Elphick. Yes, it’s their ninth one. In “Verdict” we meet the Hendryks, refugees whose serenity is shattered when there’s a murder… and a verdict. Theatre@BCS, Belconnen Community Centre, Swanson Court, to June 10. Bookings to canberraticketing.com.au or 6275 2700. NEXT up in the Street Theatre’s “First Seen” series of dramaturgical workshops is Heidi Silberman’s play “White Tulips”, which is described as an intimate tale of two sisters battling over memory, responsibility, and truth. Directed by Jordan Best, the workshop will feature actors Anna Riddel and Emma Strand. At The Street, 3pm, this Sunday, June 11. Bookings tothestreet.org.au or 6247 1223. BEAVER Galleries has two new exhibitions: Nicole Ayliffe’s exploration of the optical qualities of glass through transparent glass forms; and Bruno Leti’s monotypes, for him the perfect vehicle to explore the ways in which his oeuvre as a painter and printmaker overlap. 81 Denison Street, Deakin, Tuesday to Friday 10am-5pm and Saturday to Sunday 9am–5pm until June 25. AN exhibition and sale of Margaret Ballard’s “Works in Resin” is now on show at Kyeema Gallery, 13 Gladstone Street, Hall Village, from Thursday to Sunday, 10.30am to 5pm, until June 12. 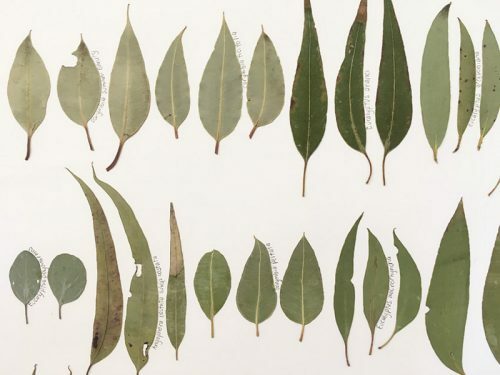 CAPO Curatorial Internship Awardees, ANU Art History graduates Clare Fealy and Emily Stewart, have curated its third Emerging Artists’ Prize exhibition opening at Belconnen Arts Centre, running until Sunday, June 25. Monica Styles has won CAPO’s 2017 Emerging Artists’ Prize. ‘Jugaad with Car Parts’ made by Trent Jansen,photo Neville Sukhia. 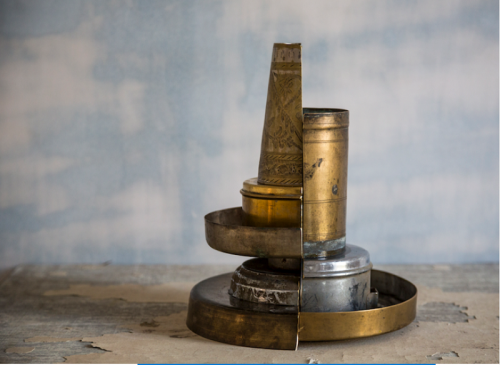 “POROSITY Kabari” is an exhibition by Australian object designer Trent Jansen, artist/architect Richard Goodwin and Indian design thinker Ishan Khosla. At Hotel Hotel’s Nishi Gallery, June 9 to July 9. Opens Friday, June 9 at 6pm, all welcome. CANBERRA Museum and Gallery currently has an exhibition called “Aviary”, celebrating our feathered friends in “Aviary”. The show in the Open Collections gallery is largely drawn from the CMAG collection and includes bird art in painting, drawing, print, photography, sculpture and the decorative arts. “A Change Is Gonna Come” is an exhibition focusing on the 1967 Aboriginal Referendum and the 1992 MABO land rights decision by the High Court. At the National Museum of Australia, until January 30, 2018. “BABY it’s cold outside” is a celebration of all things frosty, by Queanbeyan-Palerang artists, showing what winter means to them. At The Q, Queanbeyan, May 25 to June 19. QUEANBEYAN Art Society has the opening of the competition and exhibition “Five Mediums – Any Subject”. At the Queanbeyan Art Society Gallery, Trinculo Place, which is under the bridge on the Queanbeyan River bank. 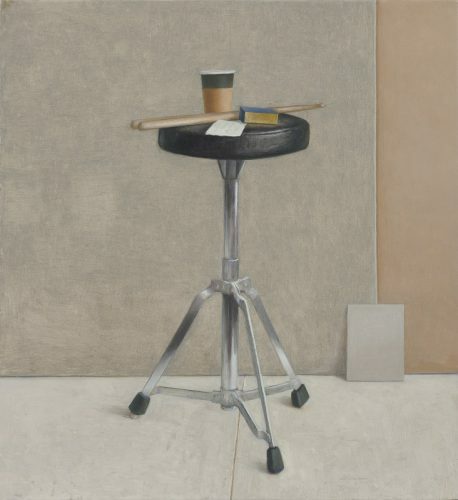 NANCY Sever Gallery has an exhibition of recent paintings by the Melbourne artist John Scurry, whose last sixteen years were as a senior lecturer at the Victorian College of the Arts, where he was a former head of printmaking. John says his paintings come from an impulse to depict. Kennedy Street Kingston, Wednesday to Sunday 11am to 6pm until July 2. THERE are currently two exhibitions at the Canberra School of Art. One features printed textiles from the Babbarra Women’s Centre in Arnhem Land. Items for sale can be bought through the gallery office. The other is an exhibition of works from a collection of people at ANU who have worked in communities. The exhibition includes work from artists such as Howard Morphy, W E Stanner, Louise Hamby and Valerie Kirk and others. 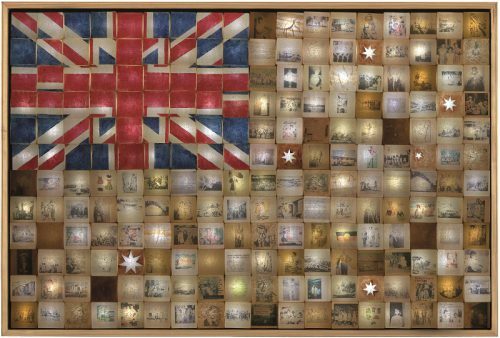 “DEFYING Empire: 3rd National Indigenous Art Triennial” brings the works of 30 contemporary Aboriginal and Torres Strait Islander artists to the National Gallery of Australia to September 10. THE Belconnen Community Gallery “RESPECT” series’ Reconciliation Week show is a group exhibition by participants in the Bungee indigenous boys and indigenous girls groups, parents from the Koori Kids program, and professional Yidinji artist, Greg Joseph. All works will be displayed at the Belconnen Community Centre, Swanson Court, until June 9, 9am-4.30pm, Monday to Friday. 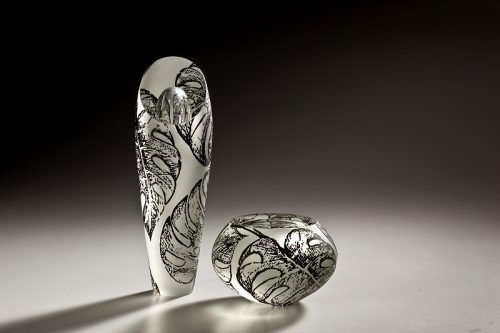 “KIRSTIE Rea: the land”, a 20-year survey of works by one of Canberra’s most famous glass creators, has been chosen for the reopening of the Canberra Museum and Gallery. The show runs to August 20. Floor talk by Rea, 1-2pm, June 8 all welcome. 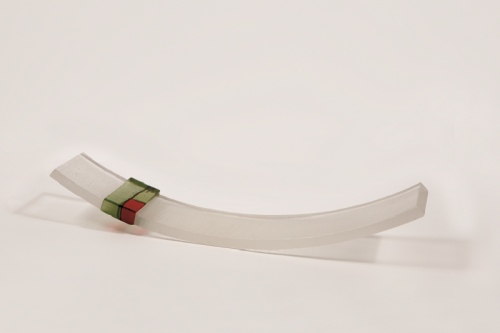 “THIS Way” is an exhibition at Watson Arts Centre of new works in wax and clay by 2016 EASS winner, Heidi Strachan. The show runs to June 11, 10am to 4pm, Thursday to Sunday, Aspinall Street Watson. KYEEMA Gallery’s new exhibition with sale is “Margaret Ballard: Works in Resin”, which opens at 13 Gladstone Street, Hall Village. From 10.30am–5pm, Thursday to Sunday. ARTISTS Gillian Bellas, Leigh Murray, Ann Hand, Nyree Mason, Wendy Antoniak, John McKenna, Jeff Isaacs and Coby Brinkman are exhibiting paintings of native and exotic plants, birds and animals under the title “Birds, Beasts & Buds”. Sweet Copper, Old Ginninderra Schoolhouse Gallery, Gold Creek Village. Running until the end of June. THE U3A Camera Club is presenting its second “Click + Capture” exhibition at Strathnairn Arts in Holt to Sunday, June 11. Together twenty-one photographers, members of the U3A Camera Club, reflect their diverse styles, backgrounds and interests in a showcase that includes flora, fauna, wildlife and city life. 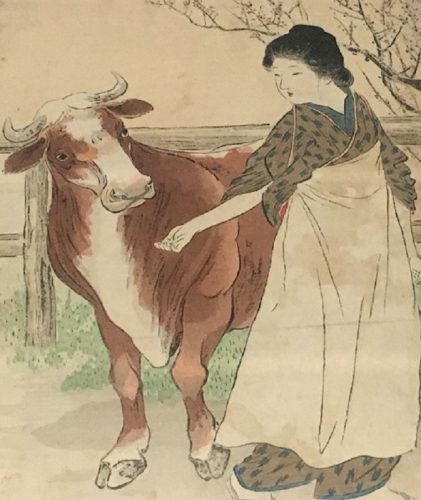 “MELODRAMA in Meiji Japan” Japanese woodblock (Kuchi-e) illustrations at the Exhibition Gallery on the ground floor of the National Library of Australia. From 10am-5pm, to August 27. Free, no booking required. THREE photographic artists are now exhibiting at The Photography Room in the Old Bus Depot Markets. Dörte Conroy’s “What Comes to Mind”, Lorna Sim’s “Enigma” and Maurice Weidmann’s “Absence of Sunshine” can be seen to June 25. “EXQUISITE Nature” is a show of neon artworks by Emilie Patteson and Harriet Schwarzrock that has been curated by Aimee Frodsham. Patteson’s work is grounded in collecting and preserving plant material within glass, while Schwarzrock is known for her bold, bright use of text and neon installations. Suki & Hugh Gallery, 38A Gibraltar Street. “EVOLUTION: Torres Strait Masks” explores the longstanding importance of masks in Torres Strait culture and how they continue to influence contemporary art forms in this exhibition, developed by the Gab Titui Cultural Centre on Thursday Island. First Australians Focus Gallery, National Museum of Australia, to July 23, free. M16 artspace has: “The age of meaninglessness has ended – Art, Empirical and Ideal”, paintings by James Rowell; “The Darkness Torch” by Louisa Giffard, investigating the difference between additive and subtractive media; “The Elm Forest” curated by Hannah Webb, bringing together collaborative and solo works by artists Janet Angus and Fairlie Pearce; and “Labyrinths of the Mind”, recent paintings by Sholto Morton. At 21 Blaxland Crescent, Griffith, 12pm-5pm, Wednesday to Sunday until Sunday, June 11. THE digital and the real collide in curator Sabrina Baker’s show “Me Time”, in which Tully Arnot, Grace K Blake, Benjamin Forster, Claudia Greathead, Anna May Kirk, Janis Lejins, Claudia Nicholson and Giselle Stanborough, explore increasing integration between life, art and technology. Canberra Contemporary Art Space, Ainslie + Gorman Art Centre, 55 Ainslie Avenue, Braddon, until June 24, Tuesday to Saturday 11am to 5pm. “HOODS” brings together four artists, Nicole Breedon, Sean Davey, Rowan Kane and Paul Williams, four artists whose art practices investigate their urban environments, pop culture and sub cultures. At ANCA Gallery, 1 Rosevear Street Dickson. THE Australian War Memorial has as a permanent exhibition “The Holocaust: witnesses and survivors”, which includes over 85 collection items. “SCULPTURE on the Campus”, at Canberra Grammar School, 40 Monaro Crescent, Red Hill, until Saturday, June 18. Members of the public are welcome throughout the festival season. THE National Photographic Portrait Prize 2017 will be on display at the Portrait Gallery to June 18. The exhibition will then tour. The final works were selected from a national field of over 3000 entries from amateur and professional photographers. 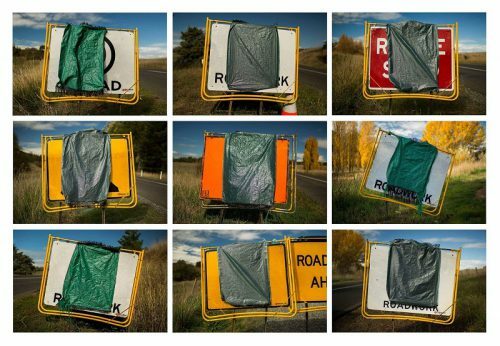 The finalists include photographers from every state and territory except Tasmania. The Artists Society of Canberra/ACT Catchment Groups art exhibition, “Space and Spaces”, has a dazzling new home in the atrium of the Canberra Centre, reports arts editor HELEN MUSA.